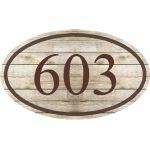 A flat or dimensional wall number sign. 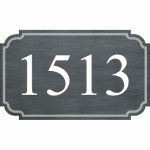 Designed by you for exterior application. Great for mailboxes too!